Two training and certification courses are being offered by New Mexico State University in Albuquerque! For additional information about either of the trainings email Gloria Hernandez. 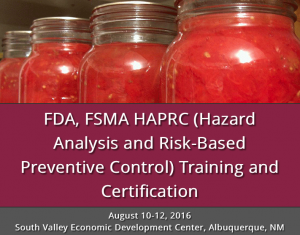 This two-day course will be presented at the South Valley Economic Development Center (318 Isleta SW, Albuquerque, 87105). 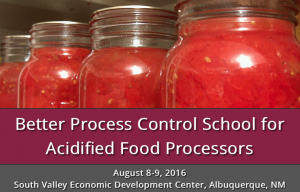 This is a certification course for managers and supervisors of food processing operations of thermal procession systems, acidification, and container closure evaluation programs for low-acid and acidified canned foods. The school satisfies the training requirements specified in both the FDA and USDA regulations for acidified foods only. Course cost for the early fee of $400 includes textbook, instruction and testing, and certificate. Lodging, meals, and travel are not included. Books will be issued on first day. A late fee of $50 will be added if registration is received after August 1, 2016; limited seating is available! 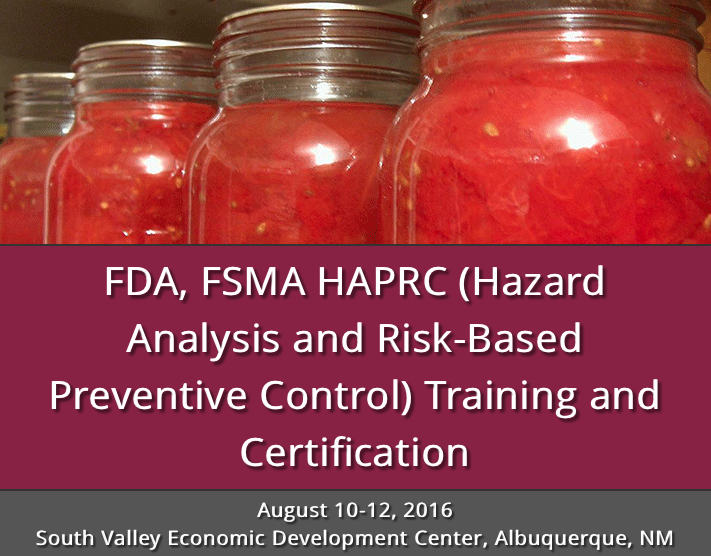 This course, developed by the Food Safety Preventive Controls Alliance (FSPCA), is the “standardized curriculum” recognized by the FDA. 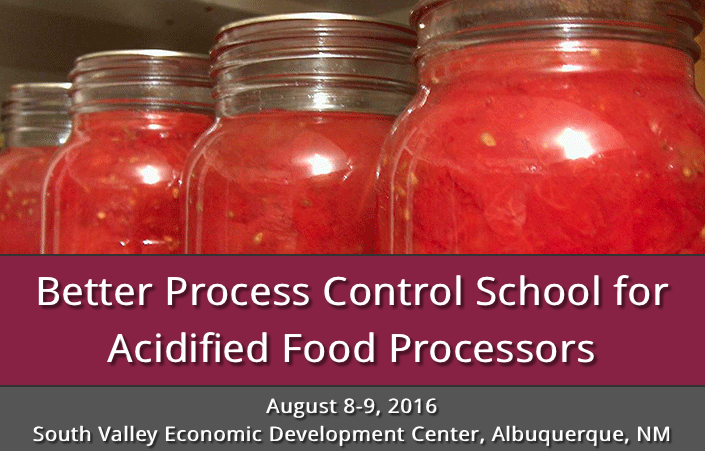 Successfully completing this course meets the requirement of a “Preventive Controls Qualified Individual” (PCQI). It will provide participants with the knowledge needed to create a Food Safety plan that complies with the Hazard Analysis and Risk-based Preventive Control (HARPC) for Human Food rule. The registration fee per person is $650 and includes manual, light refreshments during breaks, and certificate. Lodging, meals, and travel costs are not included. Limited seating is available!